This study attempts to understand the influence of developing epistemic community in classroom on teacher's professional development. The case study reveals that implementation of an epistemic community approach in classroom not only benefits students’ learning, but also has a significant effect on teacher’s own professional growth. We also found that the teacher developed her professional knowledge and skills in terms of facilitating students’ ideas, generating and applying new strategies. We illustrate the process of individual teacher’s professional growth through developing epistemic community in classroom. Evidences from this study suggest that 1) teachers’ professional development could take place more meaningfully in regular school day; and 2) developing epistemic community in classroom provides a meaningful vehicle for teacher to participate in their own professional growth while enhancing students’ learning. The current study may provide new insights into how individual teachers could develop their expertise together with students in classroom situations. Wang, X., Kim, B., Lee, J.W.Y. & Kim, M.S. (2011). Developing an epistemic community in the classroom as teacher development. In S. Barton, J. Hedberg & K. Suzuki (Eds. 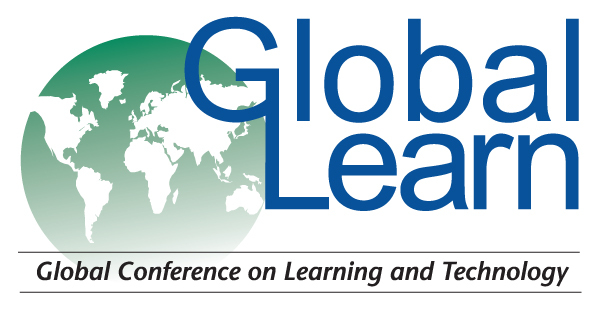 ), Proceedings of Global Learn Asia Pacific 2011--Global Conference on Learning and Technology (pp. 1272-1281). Melbourne, Australia: Association for the Advancement of Computing in Education (AACE). Retrieved April 19, 2019 from https://www.learntechlib.org/primary/p/37330/. Baumfield, V. (2006). Tools for pedagogical Inquiry: The impact of teaching thinking skills on teachers. Oxford Review of Education, 32(2), 185-196. Dana, N., Gimbert, B., & Silva, D. (2001). Teacher inquiry as professional development for the 21st century in the United States. Change: Transformations in Education, 4(2), 51-59. Fullan, M. (1982). The meaning of educational change. New York: Teachers College Press. Garet, M.S., Porter, A.C., Desimone, L., Birman, B.F., & Kwang, S.Y. (2001). What makes professional development effective? Results from a National Sample of Teachers. American Educational Research Journal, 38(4), 915-945. Guskey, T.R. (1986). Staff development adn the process of teacher change. Educational Researcher 15(5), 5-12. Guskey, T.R. (2002). Professional development and teacher change. Teachers and Teaching: Theory and practice, 8(3/4), 381-391. Kaasila, R., & Lauriala, A. (2010). Towards a collaborative, interactionist model of teacher change. [doi: DOI:10.1016/J.tate.2009.10.023].Teaching and Teacher Education, 26(4), 854-862. Kim, B. (2010). Note on game-integrated curriculum (Proposal). Singapore: National Institute of Education Kim, B., Miao, C.Y., Chavez, M., Kim, M.S., & Shen, Z. (2007-2010). Serious immersion and embodied learning: Traces of dinosaurs in earth system science (Grant No. NRF2007-IDM003-MOE-002). Singapore: National Research Foundation. Kim, B., Wang, X., Tan, L., Kim, M., Lee, J., & Pang, A. (2009). Designing with stakeholders for learning innovations: Voyage to the Age of Dinosaurs. Paper presented at the Annual Meeting of American Educational Research Association. McGregor, D., & Gunter, B. (2001). Changing pedagogy of secondary science teachers: the impact of a two-year professional development programme. Teacher Development, 5(1), 59-74(16). Richardson, V. (1998). How teachers change: What will lead to change that most benefits students learning?. Focus on basics: Connecting research and practice, 2(c). Retrieved from http://www.ncsall.net/index.php?id=395 Scardamalia, M. (2002). Collective cognitive responsibility for the advancement of knowledge. In B. Smith (Ed. ), Liberal education in a knowledge society (pp. 76-98). Chicago: Open Cour. Zwart, R.C., Wubbels, T., Bergen, T.C.M., & Bolhuis, S. (2007). Experienced Teacher Learning within the Context of Reciprocal Peer Coaching. Teachers and Teaching: Theory and Practice, 13(2), 165-187.